Yes, we manufacture top-quality bedding and draperies to your exact specifications. But service is what Schwimmer is really all about. That’s what sets us apart. From the very beginning, you will be assigned an on-site Project Manager who will follow your job all the way from measuring to installation. This seasoned professional makes certain that every window, every room is measured correctly. That all specs are clarified. And that value engineering is a priority on every job. They will even work with your interior designer if necessary to improve or expedite the project. 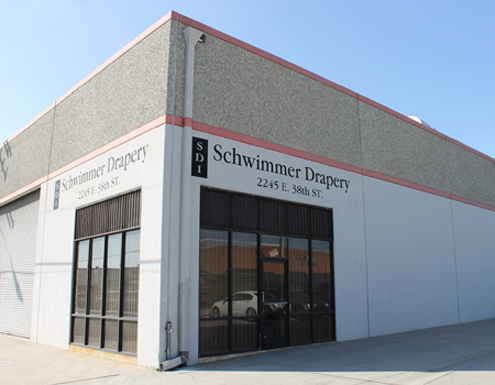 And when it comes to the manufacturing process itself, no one does quality control like Schwimmer. There are over a dozen checkpoints along the way. Our factory is located here in the USA, but our equipment and manufacturing staff provide an old-world craftsmanship unsurpassed in the business. Of course, our installers are the best in the business. 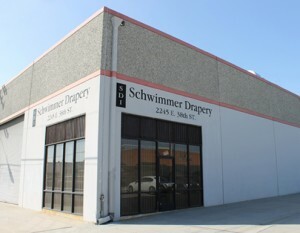 And when it comes to customer service, in addition to your Project Manager, you can feel free to pick up the phone and reach anybody here at Schwimmer. So when it’s time for you to get bids on your next project, you really need to give Schwimmer a call. We are known as the “Go to People” in the industry for a good reason. No job is too big or too small. We produce all levels of quality bedding and draperies. But our commitment to service remains consistent on every job. And that’s the Schwimmer difference.